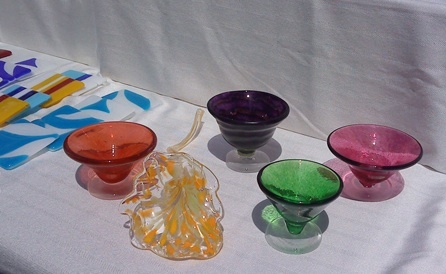 My dear friend Paul introduced me to the joy of glass and the extraordinary people that create with this remarkable material. I would never have discovered this passion without him. He simply changed my life. I am forever in his debt. 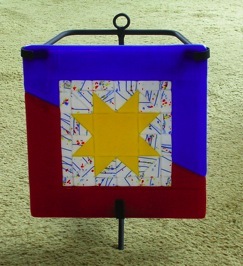 Donated Haitian Sun Hope Quilt to the silent auction portion of a Black Velvet Productions event. "Rise and Shine Haiti" was held on May 16, 2010, at Barceluna restaurant in Alameda, CA. The event benefitted Oxfam's relief efforts in Haiti. Ornaments sold in BAGI's gift shop and at the Winter Wonderland booth in downtown San Jose. * Eldakleja (pronounced eld-ah-clay-ah) literally translated means "fire columbine" in Swedish. 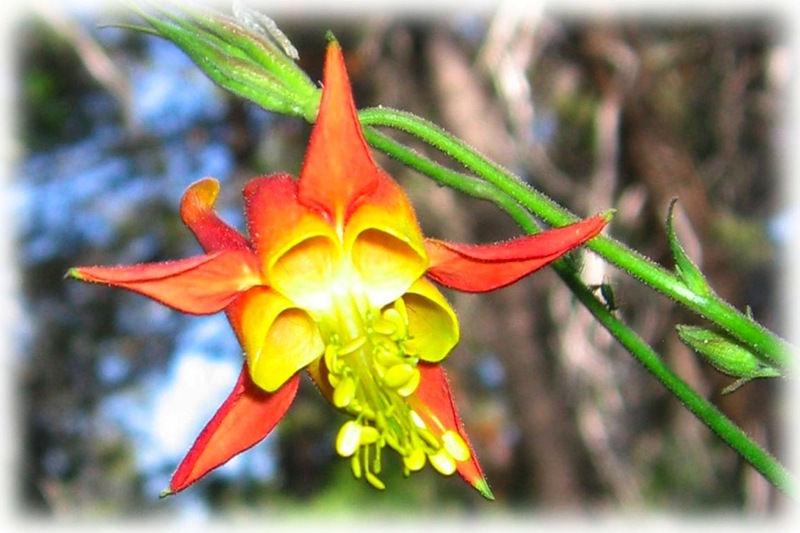 It is the Swedish name for the western columbine that grows in the Sierra Nevada of California. Glass is spelled with a single 's' in Swedish. With two it means ice cream. I am grateful to Thor, Ben and everyone else who supports this adventure. Columbine photo credit goes to Erika and Sigurd.